Football Clichés book out now! In what other context do football fans use the words 'aplomb' or 'derisory'? Who don't we use 'rifle' as a verb on the other six days of the week? Why do aggrieved midfielders feel the instinctive need to make a giant ball-shaped gesture with both hands after a mistimed tackle is punished? Some clichés are ridiculous, some are quaintly outdated, some have survived through their sheer indisputability. 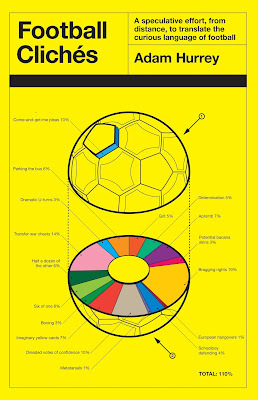 In this book, with the aid of some pseudo-scientific diagrams, the language of football is explored in all its glory. A must-have ... This book, intelligent and sharp but still affectionate, is a spiritual heir to the best of the printed fanzines, to Danny Baker and Danny Kelly's gleeful radio shows, to the irreverent delight in the game's quirks celebrated by websites such as Football365. This affectionate dissection of the game's well-worn phrases mildly mocks a few of the more tired ones, for instance "slide rule pass" - who uses a slide rule these days? - but points out that new ones are still being coined; apparently, Jose Mourinho first used the now-ubiquitous "parking the bus" as recently as 2004. As for TV pundits, what, according to Alan Hansen, do defenders fear most? All together now: "pace", be it searing, blistering, lightning, explosive, in abundance, bags of, to burn, genuine and on occasion even deceptive. For me, this is a top, top effort by the boy Hurrey, and at the end of the day you can't say fairer than that. 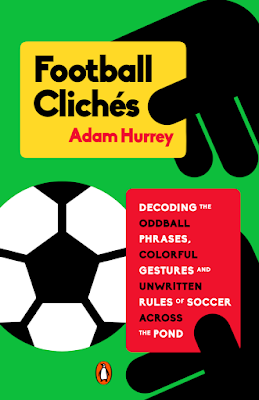 An entertaining, hilarious dissection of the language of football, complete with diagrams and illustrations. Open your chequebook for a last-ditch transfer swoop. Hello, everyone. A 2011 study by language professor Gunnar Bergh of Mid-Sweden University hypothesised that "public football commentary is typically organised in accordance with the principles and parameters of warfare". In studying the Guardian's minute-by-minute coverage of the knockout stages of Euro 2008, Bergh found that Sean Ingle's report of the semi-final between Russia and Spain contained 117 "war-inspired expressions" in its 90-minute window. If, as Orwell once essayed, "sport is frankly mimic warfare" then the minute-by-minute report is its most faithful document. Minute-by-minute football coverage (or MBM-ing) is the written equivalent of Soccer Saturday: reading someone writing what they see in a football match, as they see it. Bergh describes it as "a hybrid of oral commentary and written reports in newspapers". With its innate immediacy comes a certain informality that gets professionally sandpapered out of a "proper" match report. But just who's reading it, I found myself briefly wondering on my recent MBM-ing debut. Perhaps minute-by-minute reports might have been better suited to Ceefax's heyday, before unpoliceable internet live-streaming opened up the 3pm Saturday kick-offs to anyone living in Derby as well as Dubai. "The noted variation in word count is probably due to such factors as the length of the match...the character of the play...and the idiosyncracies of the commentator (e.g. his personal bent towards verbosity)." 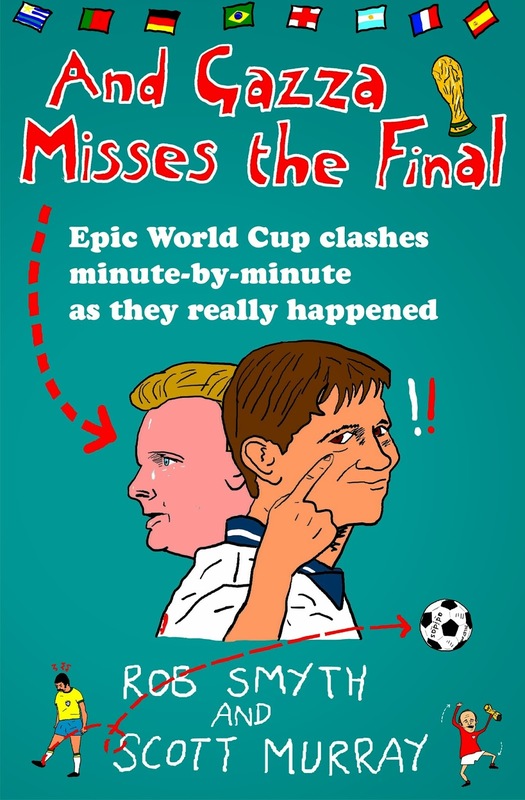 And Gazza Misses the Final, a new book by seasoned (dare I say grizzled?) MBM-ers Rob Smyth and Scott Murray, seeks to revisit the most famous matches in World Cup history and present them again in real time and, crucially, at face value. Some of the most endlessly-replayed moments on football's greatest stage stand side-by-side with the gloriously mundane (23 min: The sun's out!). Particularly for someone with my attention span, it's virtually impossible to read this book directly from cover to cover. You're drawn immediately to the game that most captures your imagination - England v West Germany in 1990, in my case. In turn, your eyes are irresistibly dragged towards the iconic incidents, which are identified by bold text and a suitable number of exclamation marks!!! These plot twists are well-worn nostalgia, but this format brings them back to life as unexpected moments of drama. 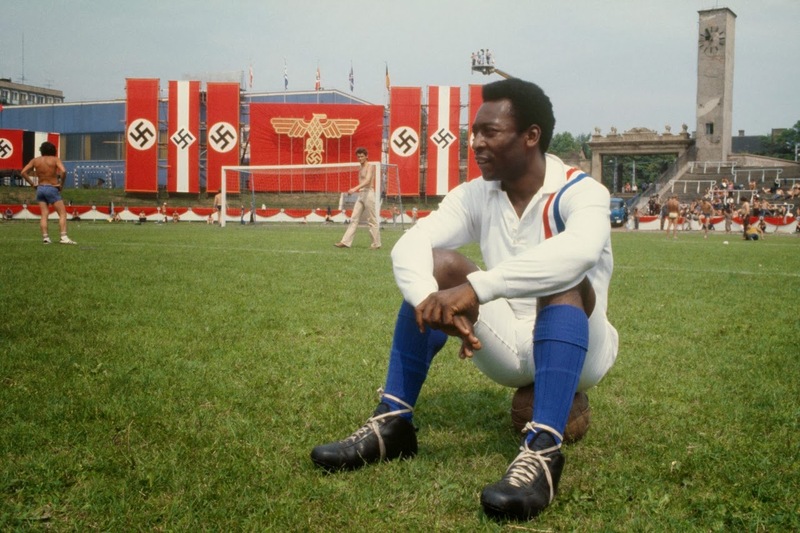 These are convincing snapshots of quasi-immediacy that, despite being written decades after the event, convey the sensation of a World Cup moment that the diminishing returns of straightforward nostalgia cannot. Semi-forgotten close shaves, disallowed goals and other coulda-woulda-shoulda turning points, many of which have been glossed over by sheer time, are brought back into the equation. I would use the word "narrative", but there is no artificially added narrative here, no knowing foreboding of whatever was to unfold. As Smyth and Murray point out in the preamble, "even a match report hurriedly filed on the final whistle is viewed through the filter of the result...nobody ever goes back to rewrite a live report." 41 min: But here come dark clouds! WHAT A LEFT HOOK!!! You can get too pious about stuff like this, so let's just say that's the best left hook you'll ever see on a football pitch! Pow! Right in the kisser! Straight to the moon! 34 min: CHRIS WADDLE HITS THE BAR FROM 45 YARDS! It wouldn't have counted, as the referee had blown for a foul by Platt a split-second earlier. That was reminiscent of Pelé in 1970 but this time it was a bloody Englishman doing it. 83 min: With Anderton lining up a free-kick on the right wing, the camera shows Merson laughing. How can you stand there guffawing at a time like this, man?! Don't you know what we're going through? The incredulous upper-case outbursts, shamelessly partisan asides and the delightfully convoluted similes ("Fenwick nearly sent Maradona's kneecaps whirling like Catherine wheels towards Guadalajara!") are vital ingredients in what make the format so worthwhile. Smyth and Murray are rightly proud of the reporting style that they helped to make so popular: "It's the most honest appreciation of a match you're ever going to get." In Murray's case, in a 2003 Cricket World Cup report, perhaps even too honest. One early symptom of World Cup fever is a craving for football nostalgia. Indulge it by firing up YouTube and getting hold of a copy of the most original way to relive the most well-documented World Cup moments (and some that you may just have forgotten after all this time). Why has cinema found football to be such a tricky customer? Football scenes in film and television are traditionally very awkward affairs, with the "defenders" tip-toeing nervously around the "attackers" as they advance, the goal finally coming via the sort of impractical flying volley you just never see on a real pitch. It's clearly very difficult to let someone score a script-dictated goal while pretending to try to stop them but, at the same time, trying not to look like you're pretending to try to stop them. Perhaps they teach it at RADA, who knows? Furthermore, filmmakers have the challenge of adding a fictional big-screen gloss to what is already an overwhelmingly camera-friendly and consistently dramatic spectacle in its own right. Real-life football already has its own "script" which often features players scoring against their old clubs, but which is occasionally torn up by giantkilling cup minnows who have refused to read it. With that in mind, some of the best football films ever made are narratives that require no fictional embellishment at all. FIFA's official World Cup films, notably Goal! (1966) and Hero (1986), have greater pathos and plot twists than anything created by scriptwriters. Away from the pitch, the minefield of clichés is such that anything other than caricature is hard to achieve - the players all drive flash cars, the managers are all dour disciplinarians and the fans are long-suffering sadcases with posters all over their walls. The improbability of its context notwithstanding, the climax of John Huston's classic arguably features the most accurately-depicted passages of play in the history of cinematic football. Michael Caine passes quite well for a veteran footballer alongside Bobby Moore, Mike Summerbee, Russell Osman and a cruelly dubbed-over John Wark, while Ossie Ardiles and Pelé (as the confusingly-cast Trinidadian striker Luis Fernandez) add some exoticism to the forward line of the Allied POWs. Even Sylvester Stallone's erratic goalkeeping in the face of the dead-eyed German attack can't spoil a pulsating, propaganda-destroying 4-4 draw in Paris, secured thanks to a last-minute bicycle kick from a wounded Fernandez. There's still time for the Germans to miss a penalty (yes, yes) and, as the Wehrmacht's top brass sit humiliated in the stands, Caine's men make a sneaky escape amid a gleeful pitch invasion. Victoire! Victoire! 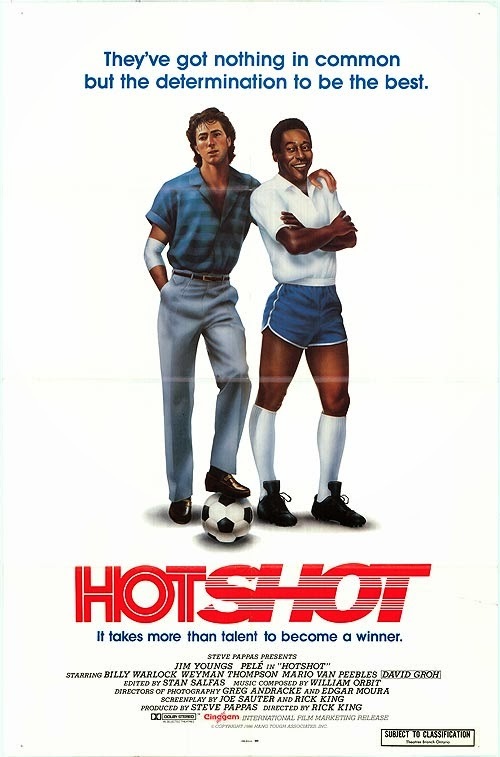 Fiery young soccer player Jimmy Kristidis, left out in the cold by the New York Rockers, seeks out the retired and disillusioned Brazilian star Santos (played by Pelé, clearly in high demand in the 1980s) to coach him back into the big time. He initially refuses but, after some sub-Karate Kid persuasion, performs a rather convenient U-turn. The climax is predictable - Jimmy's disapproving family are inevitably won round - but the astroturf action is quite charmingly ridiculous. Two years after the demise of the North American Soccer League, and a year away from the United States winning the right to host the 1994 World Cup, it's tempting to curse the unfortunate timing of Hotshot's release, but it really is just bloody awful. A FIFA-endorsed, rags-to-riches narrative, wrapped in a chaotic mess of product placement and star-studded cameo appearances - in many ways, the Goal! trilogy is an inadvertently astute reflection of modern football. In the first installment, Goal! The Dream Begins, Santiago Munez (Kuno Becker) defies his father - and, it seems, UK work permit criteria - to seek his fortune with Newcastle United. There are some setbacks (jealous teammates, tabloid misrepresentation) but Santiago finally makes his dad proud and his free-kick against Liverpool at St James' Park, ably stunt-doubled by Laurent Robert, takes Newcastle into the Champions League. In Goal II: Living the Dream, Santiago earns a transfer to Real Madrid, where his success makes him arrogant and selfish. Madrid reach the Champions League final, though, where Santiago climbs off the bench to help secure a 3-2 win over Arsenal (whose trophy drought even extends to this fictional universe). For all the galacticos on show, it's rather odd to hear Tony Gale describing the action. The straight-to-DVD Goal III: Taking on the World makes that step up to international level at the World Cup, but must make do without the big names of the first two films. The trilogy's decline is rubber-stamped with a brief, foul-mouthed appearance by Newcastle United owner Mike Ashley. If modern football does eventually succeed in eating itself, Goal III was the warning we failed to heed. Celebrity Sheffield United fan Sean Bean is cast into his dream role as Jimmy Muir, a jack-the-lad Sunday league goal machine who loves his mum (but hates his abusive, alcoholic dad) and bags a trial with the Blades. United legend Tony Currie isn't sure about him, the club's captain (played, oddly, by ex-Sheffield Wednesday stalwart Mel Sterland) certainly doesn't rate him, but his girlfriend still believes. Naturally, Jimmy lets everybody down by going out on the booze and sleeping with a stripper, before redemption arrives in the form of a match-winning penalty. On his debut. In an FA Cup semi-final against Manchester United. The match takes place at the distinctly non-neutral Bramall Lane, illustrating the sort of factual dilemmas that football films can pose for their producers. Nick Hornby's adapted screenplay from his original novel is, at the very least, one of the most underrated British romcoms of the 1990s and 2000s. It's also a faithful account of the ultimately futile absorption that is football fandom, from the trivial (Subbuteo squabbles, lucky Arsenal boxer shorts) to the serious (the Hillsborough disaster). Arsenal's 1988/89 title-race exploits provide the undulating backdrop to the personal struggles of teacher Paul Ashworth, portrayed more than passably by Colin Firth. The anachronistic female characters, including Paul's girlfriend Sarah (Ruth Gemmell), are presented as eye-rolling football-haters, quipping wearily about "Wolves United" or "who Arsenal's best goalhanger is". Of course, by the end, Sarah finds herself inextricably drawn to TV sports reports on the match-fitness of David Rocastle. Casting directors have a unique quandary for football-based films. Should they plump for an actor who can play a bit or a professional footballer who isn't made of wood? A Shot at Glory saw the unlikely big-screen partnership of European Golden Boot winner Ally McCoist (then winding down his real-life playing career at Kilmarnock) and Academy Award winner Robert Duvall. McCoist had been a team captain on A Question of Sport for several years by this point, and was therefore fully banter-hardened for the cameras. Duvall's role as Kilnockie manager Gordon McLeod, meanwhile, required him to scrape together a Scottish accent using bits of old shortbread and bagpipes. Kilnockie embark on a heroic cup run - despite the meddling of American owner Michael Keaton, who wants them to relocate to Dublin - where they meet Rangers in the final. I won't spoil the ending. In their intimate study of the modern game's most graceful exponent, filmmakers Douglas Gordon and Philippe Parreno combined the narrow focus of Sky Sport's short-lived Player Cam gimmick and the art-installation pointlessness of Empire (1964), Andy Warhol's eight-hour unbroken shot of the Empire State Building. The Guardian's Philip French described it as "hypnotic, self-indulgent and lacking in context, rather like doting parents at a nativity play concentrating on their daughter's Mary or their son's Joseph to the exclusion of the other performers and the Gospel message." It wasn't the first attempt at this, though. Hellmuth Costard's 1970 film Fussball wie noch nie (Football as never before) followed the equally mercurial George Best around the Old Trafford pitch in a match against Coventry City. Best duly indulges the voyeurism with a goal, rounding the Coventry goalkeeper so casually that you assume the referee's whistle had already blown for an offside. Back at the Bernabeu, Zidane glides and trudges around, sporting that mildly irritated grimace, for almost 90 minutes. Then, he's sent off in the dying minutes after a scuffle with a Villarreal player (the only time Zidane seems to break sweat) and it's a conveniently prescient moment. Weeks after this film had premiered at Cannes, Zizou once again summoned his inner street kid and brought his career to an ignominious end with that headbutt on the arch-villain Marco Materazzi. One of the first films to base itself around the game of football. George Allison's Arsenal stage a friendly match against The Trojans (a fictional version of the famous touring amateurs Corinthian FC). The Trojans' star player, John Doyce, is established as having an affair with the fiancée of a teammate (imagine that these days, eh? Oh.) but his sudden death on the pitch, apparently having been poisoned, sparks a police investigation led by the eccentric Inspector Slade. Another sinister plot to assassinate a player on the pitch featured in Danish political thriller Skytten (1977), in which the European Footballer of the Year, Allan Simonsen, quite literally goes down like he's been shot by a sniper. In their book Who Invented the Stepover?, Paul Simpson and Uli Hesse claim that Simonsen agreed to quickly stage his own murder for this scene during a World Cup qualifying defeat against Poland in Copenhagen. A forensic comparison of the YouTube evidence can't quite prove this sensational claim either way but you really, really want it to be true. Other films have tackled rather more niche aspects of football. Hooliganism's box-office appeal is easy to understand, which led in the mid-2000s to the swaggering pair of The Football Factory (Danny Dyer, Chelsea v Millwall, proper naughty) and Green Street (Elijah Wood, West 'Am, woeful cockney accents) but the altogether more sinister I.D. (1995) eclipses both. A curious turn-of-the-millennium American obsession with football-playing dogs led to three such films in the space of five years, but audiences were less enthused - they boast an average rating of 3.5 out of 10 on IMDB. The latest foray into the genre-bending world of the football film is Goal of the Dead (2014), the forthcoming French production that's, yes indeed, a football zombie film. The wait goes on for football's definitive cinematic moment. There are some things from ancient football history that seem unthinkable now - playing without crossbars, goalkeepers going bare-handed, predominantly black football boots or decent commentators. Barely two decades ago, it was permissible for a goalkeeper to handle a backpass. "To handle", in football-speak, meant to pick the ball up, clutch it longingly to the chest while scouring the expanses of the pitch in front, bounce it a couple of times and, finally, to boot it emphatically as far into the opposing half as humanly possible. And none of these fancy, out-to-the-side, flat-trajectory, counter-attack-launching kicks that are so fashionable now. For many years, this defensive panic-button was only rarely abused. In the 1966 World Cup Final the ball remained sportingly in open play, despite the knackered England and West Germany helping to mythologise the Wembley turf in a jelly-legged extra time that looked more like closing time. England led 3-2, thanks to the eyesight of a linesman whose nationality escapes me, but Moore, Charlton and the tireless Alan Ball still dragged themselves forward. After more timewasting shenanigans during the climax of Euro '92, the International Football Association Board's new directive came into force. The game would change overnight, indisputably for the better, but there remains room for nostalgia for football's pre-watershed state. A rather niche piece of nostalgia, in this case, as we fondly remember the backpass. The pass from Davie Kirkwood, the turn from Souness, the look up and the carefully lofted ball over the top - it looks like a promising attack, until you realise that its Chris Woods on the end of it. Absolutely shameless. Seven seconds to sum up Bobby Gould's Wimbledon side. 1-0 down to Watford in the FA Cup quarter-final at Plough Lane, with future backpass expert Brian Gayle having trudged down the tunnel for an early bath, Wimbledon's Vinnie Jones kicked off the second half in brutally simple fashion. All the way back to Dave Beasant, who wastes no time in punting the ball straight back where it came from. Ten-man Wimbledon came back to win 2-1, and the Crazy Gang would go on to shock the Culture Club in the final. It wasn't pretty, and neither was Brian Gayle. Whichever way you slice this one - context, execution, arrogance, dramatic irony - it is the undeniable masterpiece of the backpassing genre. You know the story behind it - you could barely script it. Steve McMahon, having sternly gestured to his Liverpool teammates that only one minute separated them from the league title, decided to run down a few seconds of it. Alan Hansen takes a free-kick short to McMahon, who has no interest in the Arsenal half. Keep watching the loop. Have you ever seen a player produce such a shimmy to get round an opponent in order to pass back to his own goalkeeper? The more you watch it, you start to convince yourself that McMahon is attacking the goal to our left, that he's slid Ian Rush through, one-on-one with John Lukic. In fact, Bruce Grobbelaar scoops it up, shares a gloriously pointless one-two with Gary Abblett, before punting it downfield anyway. A grubby end to a filthy World Cup. Argentina, thanks in part to some pioneering work in the field of referee-haranguing, had already been reduced to ten men and conceded a late penalty, which the ambidextrous Andy Brehme had coolly despatched. With Maradona's men beaten, and ITV's Ron Atkinson laying into "the worst World Cup winning side ever", West Germany found a rancid cherry for their gamesmanship cake. As the world's TV audience began to switch off, Brehme casually passed to Klaus Augenthaler on the left. Faced with nine weary, resigned and aggrieved Argentinians and a veritable ocean of Stadio Olimpico space, the adventurous Augenthaler hesitated and turned back. And curled a glorious 40-yard through ball to the grateful hands of Bodo Illgner, clearly anxious to secure the first ever World Cup Final clean sheet. "To win a World Cup with a team like this! ", Atkinson sneered. FIFA took note, and started scribbling in their rule book. At the risk of getting all blooper compilation DVD on you, this piece would not be complete without a backpass-turned-own-goal. 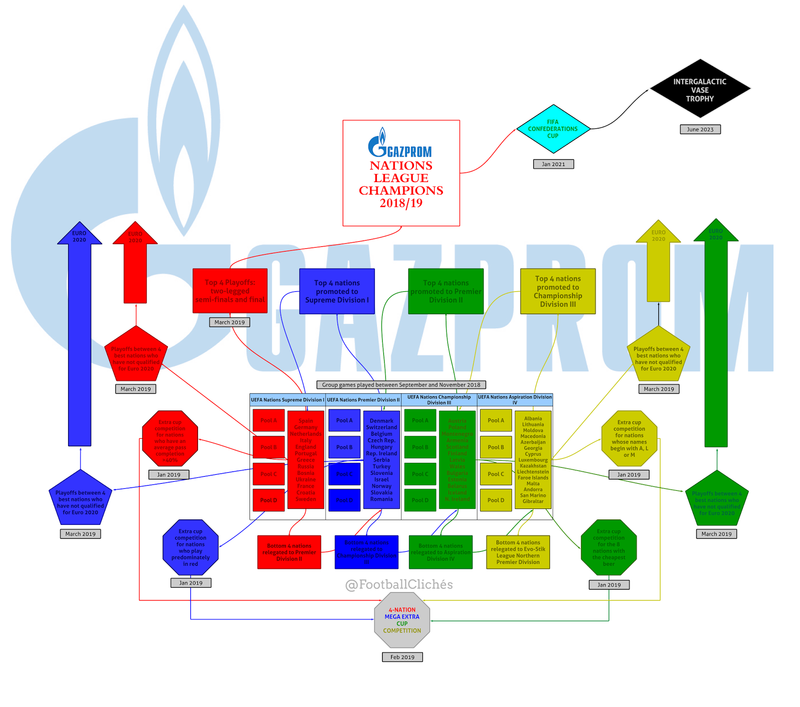 The Peter Enckelmans and Paul Robinsons of this post-1992 world deserve more sympathy. Before the lawmakers' intervention, there was a huge margin for error when attempting to return the ball to the sanctuary of your goalkeeper. To lob him immaculately from 25 yards, under no pressure whatsoever, requires something special. Ronnie Whelan's half-volleyed effort at Old Trafford in 1990 set the unenviable benchmark, but Lee Dixon would raise the bar a year later. Coventry's Kevin Gallacher celebrates as if it was his own piece of impudence, while Dixon's teammate Andy Linighan seems to struggle to comprehend how this could have happened. David Seaman, meanwhile, would go on to experience more undignified, high-profile backpedalling at the hands of Nayim and Ronaldinho. With the new rule finally in place, goalkeepers were forced into a hurried evolution. Clearly also struggling to adapt were lowly Gillingham. Having screwed a clearance from the first backpass, distressed goalkeeper Scott Barrett then had to deal with an inexplicable scissor-kicked follow-up effort from his centre-half, which he achieves quite heroically. The backpass rule remains an oddly under-regarded moment in the game's history. It's responsible for sweeper-keepers, for the the near-extinction of the agricultural centre-half and, in some part, for the relentless speed and intensity of football today. 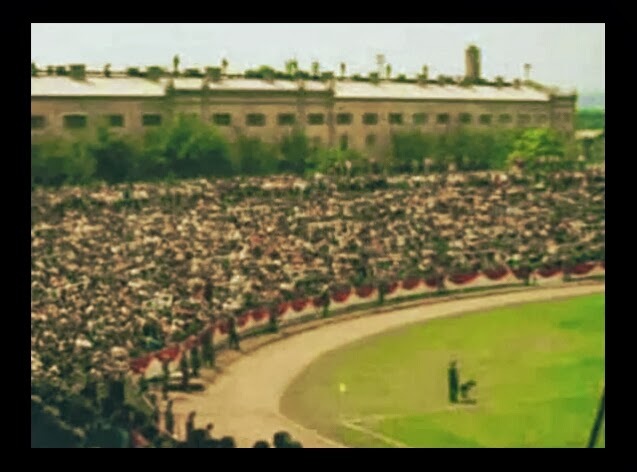 So, when you next hear a crowd applauding a routine header back to their goalkeeper, it's an instinctive echo from a not-yet-forgotten time when this was far from a formality. An unpleasant existence between being frozen out at your current club and the successful negotiation of a move away. 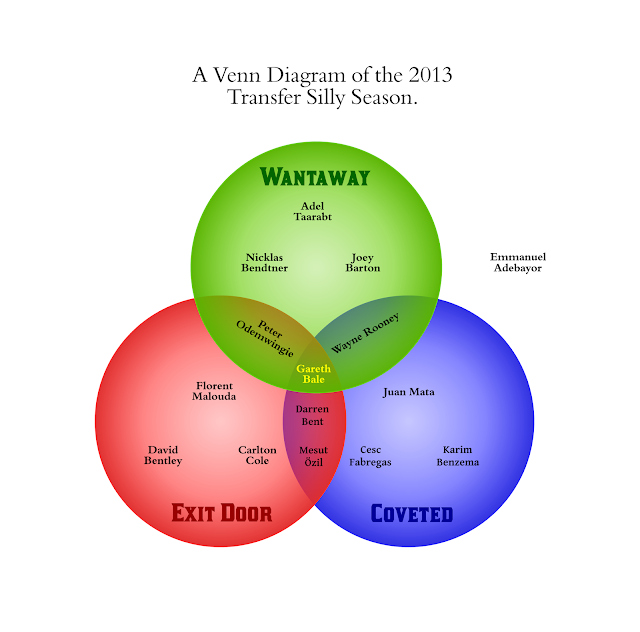 The slamming-shut of the January transfer window is now prime-time (and, indeed, post-watershed) entertainment for football fans, and West Bromwich Albion's Peter Odemwingie provided the highlight that even seasoned cliché-spotters considered a novelty. The Nigerian forward turned up at Loftus Road, only to be denied entry because Queens Park Rangers hadn't struck a deal with Albion. Tail firmly between legs, Odemwingie returned to the Hawthorns to face a hefty fine and a bit-part role for the remainder of the season. He finally left the club in the summer, joining Cardiff City in rather lower-key circumstances. Mandatory description for the act of (but particularly the subsequent fallout from) spitting at a fellow professional. Spitting reared its distinctly ugly head in February, as West Brom's Goran Popov saw red for launching his phlegm at Tottenham's Kyle Walker. Furious Albion manager Steve Clarke immediately listed all the people and organisations that Popov had let down, and the Macedonian's contrition was swift and sincere, but Kyle Walker failed to provide the customary confirmation of whether he would rather have been punched in the face than spat at. Hapless (and specifically international) whipping boys who have an assortment of relatively ordinary day jobs, once looked upon with patronising curiosity but now with increasing irritation by advocates for World Cup pre-qualifying. In the run-up to England's latest leg of the road to Brazil, it became clear that writing about San Marino was football journalism's equivalent of actually having to play San Marino - a procession through the motions (Steven Gerrard: "We don't look on it as an easy game"), while dusting off the Wikipedia page of Davide Gualtieri. Ultimately, the one challenge for the back pages was navigating the black hole of scoreline headlines - the eight-goal margin. There's FIVE STAR, HIT FOR SIX, SEVENTH HEAVEN and CLOUD NINE for all the other thrashings and capitulations, but we are yet to see any creative advances on GR-EIGHT. Luis Suarez caught up with an old friend in April and committed not only the abhorrent act of biting Branislav Ivanovic but also the reprehensible opening of a subsequent floodgate of puns relating to fangs and champing at the bit. Ludicrously dragged-out pre-match coverage of the FA Cup Final, including crucial footage of the team buses arriving at Wembley. 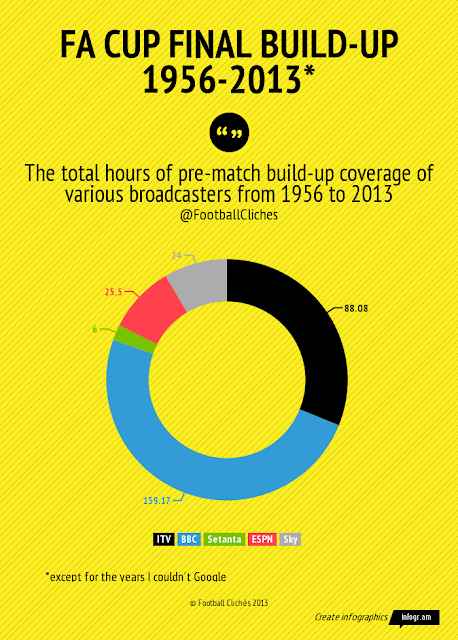 ESPN broadcast only three Cup Finals during their brief foray into UK football coverage, but are still responsible for around 9% of all pre-match build-up in the last 50 years. This year's marathon began with a chat to Wembley's head chef at 8am, and the FA Cup Final cliché sponge was well and truly squeezed dry by the time plucky Ben Watson had pluckily headed plucky Wigan into Wembley folklore eleven hours later. To provide physical proof of a new manager's recruitment by presenting him at a press conference, but not from underneath an actual veil. Jose Mourinho returned to Chelsea and Roman Abramovich to claim the prestigious title of The Worst-Kept Secret in Football and face the inevitable retrospective "Special One" narrative. He was instantly rebranded as The Happy One, and now sees his moniker change on a weekly basis depending on his apparent mood. José Mourinho's homecoming press conference, in pure words. The haunting (albeit very much still-alive) presence of a powerful predecessor, which casts a shadow over its unfortunate victim. It was then David Moyes's turn to face the press, as he attempted to fill the shoes of Sir Alex Ferguson at Manchester United. In other sartorial analogies, Moyes was continually boosted by the news that he was "cut from the same cloth" as Ferguson. Tedious, yet gripping; slightly susceptible to impasses, snags, stumbling blocks, hijacks and dramatic U-turns. The step up from playing against star-studded, well-drilled top flight domestic opponents to facing largely mediocre qualification-campaign nuisances whose options are limited by sheer geography. Everyman football hero Rickie Lambert's ascension from Premier League surprise package to facing all-conquering Moldova in a World Cup qualifier brought into question the concept of "international level" and all that it supposedly entailed. A goal on his competitive debut suggested it's not so much a step up - more of a barn door. ˈkrʌɪsɪsnounA deliberately low-threshold state of relative emergency reserved for Champions League qualification-chasing clubs who have lost several matches in quick succession. Must be made conspicuous by its absence when form improves. Moyes's United side, already stung by a derby day mauling at the hands of Manchester City, went down 2-1 at Old Trafford to West Brom to become the Premier League's latest Crisis Club™. The obligatory crisis-what-crisis response came in the form of a 12-game unbeaten run, which was halted by back-to-back home defeats. This, in turn, was followed by a string of six straight victories, which was ended abruptly by another home reverse on New Year's Day. Crisis? What crisis? This crisis. What, that one? Stoke goalkeeper Asmir Begovic, bound by the code of the Goalkeepers' Union, had to conceal his glee after hoofing his way over opposite number Artur Boruc and into pub quiz machines of the future. Begovic continued his mandatory sheepishness right up to his studio appearance on Match of the Day 2, at which point he was allowed a wry smile - the only sort of smile permitted anywhere in football. Scheduled in punishingly quick succession during the Christmas period for the amusement of fidgety, overfed British football supporters. Festive football fixtures, including "Christmas crackers" and "Boxing Day belters", are a gloriously alliterative tradition. Own goals and suicidal backpasses that take place before the 25th may be described as "early Christmas presents", while the search continues for a referee that actually was on a manager's Christmas card list. Germany v Allies - as it happened! Greetings from the Stade Olympique de Colombes in Paris, venue for the 1938 World Cup final between Italy and Hungary, and host for this unprecedented clash between the German national team and an Allied XI. A sell-out crowd of 50,000 is expected, many wearing suspiciously 1970s-looking tracksuits despite it being 1943. Player-manager John Colby, once of West Ham United and England, will also skipper his charges in Paris this afternoon. In addition to Lewis's injury, the Allies' selection problems have been compounded by a raft of Czech and Polish withdrawals. Colby, however, has dismissed suggestions that his patched-together side will settle for a point against the might of the star-studded Germans, who include in their starting line-up such talent as Baumann, Reinhardt, Albrecht and goalkeeper Schmidt. The hosts are under the stewardship of Rainer Muller, a former international centre-half who played against Colby at Wembley only five years ago. Kick-off is at around 4:30pm-ish. @FootballCliches This is like cup finals days used to be. Starting coverage early doors at the team hotel. John Colby (West Ham United and England) in deep conversation with German Director of Football Major Karl von Steiner. Lengthy advert breaks are making this quite an easy task after all. Despite having not yet made a senior appearance, American goalkeeper (but enlisted in the Canadian army) Robert Hatch is already agonising for a move away. His transfer request is being considered, officials say. The protracted Robert Hatch saga continues, as he is welcomed back into the Allied fold as their physio/conditioning coach. Training methods have reportedly included elaborate sit-up routines. No stranger to controversy, Hatch (the Joey Barton of World War II) is now embroiled in a fake passport scandal. With poor Tony Lewis ruled out with his broken arm, Hatch will start in goal for the Allies. Germany are unchanged (maybe). Nice seat at the Stade Olympique de Colombes. The stadium is filling up quickly for this one-off propoganda exercise showpiece. Mercifully, no Andy Townsend in the gantry, because he hasn't been born yet. Awful start. Albrecht nods past a stranded Hatch. It goes from bad to worse, as Strauss fires a shot under the despairing Hatch. Pieter van Beck goes off injured - looks serious. Hilsson on to replace him. Baumann slots calmly past Hatch, who barely moved before it hit the net behind him. This isn't quite going to plan, is it? The Allies are struggling to cope with the Germans' physical approach and dazzling wing play. Hatch already looks out of his depth in goal and captain Colby needs to find a way of getting the mercurial talents of Rey and Fernandez into the game. Fernandez, in particular, is already a target for roughhouse treatment. The Allies need a goal, and they need it soon. One more for the hosts and it's game, set and match. Well, this is dreadful. Just as the Allies had started to string some passes together through Rey and co, Bronte latches onto a spill from Hatch (who else) and the Germans couldn't be homer and drier. HELLO. With Fernandez off injured with what looks like a bad shoulder injury, and Hatch bleeding from a head wound, the Allies suddenly rally. Tackles fly in on the German midfield, and the ball finds its way to Terry Brady at the back post. He taps home. Scant consolation? Fernandez looks like his afternoon is over. The Allies limp back to the dressing room to regroup. Brady's goal has given them something to cling on to, but the Germans' superior fitness will surely tell in the second period. And we're off again! But not before a spot of mind games from the Allies, who kept the Germans waiting for a few minutes before the second half could begin. Not sure what happened there. This is a completely different Allies to the one we saw in the first half. Rey slaloms his way through, past Schmidt, and slides it home. Game on? Amazing! Wolczek pounces on a loose ball and it's suddenly anyone's game! Clure taps home for a dramatic equaliser....but it's ruled out! Chaotic scenes. It was literally in the script. Fernandez, nearly crippled with injury, slides the ball out to the right to find Brady. The cross is a little behind the Trinidadian, but he produced an unbelievable bicycle kick to hammer it past Schmidt. RIDICULOUS. This is absolutely absurd. With seconds left, Rey upends Baumann in the area. A stupid challenge, and the referee had no hesitation. Baumann, who had hammered a penalty past Hatch with ease in the first half, stepped up to take. Hatch eyeballed him, and the referee had to step in and send him to his line. The psyching-out clearly worked because Baumann's weak kick was at the perfect height for the American IN HIS FIRST EVER FOOTBALL GAME, and the clutched it to his chest. Baumann is on his knees! @FootballCliches Some people are on the pitch! They think the war's over! The crowd are on the pitch, and it's not a minority of idiots either. They've swamped the heroic Allied players, who are nowhere to be seen. They'll make a film out of this. @FootballCliches Don't go yet. Film4+1. So there we have it. A ramshackle bunch of POWs have out-Radforded Ronnie Radford, 30 years before he even got the chance, against a German side who were playing at the World Cup finals only five years earlier. The scoreline reads 4-4, and a share of the spoils, and this tells either the whole story or none of it at all. Four goals down after 41 minutes, and being kicked from pillar to Parisian post by their adequately-nourished opponents, the Allies staged a miraculous second-half revival, led by the English lions of Terry Brady and captain John Colby, and aided by the the magic of Mexico's* Carlos Rey and Trinidadian genius Luis Fernandez. Fernandez, clearly hampered by a shoulder injury that had temporarily forced him to the sidelines, produced the game's defining moment when he flung himself at Brady's cross in the 88th minute to spectacularly hammer a bicycle kick past Schmidt in the German goal and send the Stade Olympique de Colombes into raptures. If that wasn't enough drama, rookie goalkeeper Robert Hatch atoned for a catalogue of positional errors by saving a last-gasp penalty from the normally cucumber-cool, talismanic German skipper Baumann. It was a draw that felt every bit like a victory for Colby and his spirited side, who looked down and out at half-time, with Dutch veteran Pieter van Beck already stretchered off after a brutal tackle. German football supremo Major Karl von Steiner will likely consider the future of manager Rainer Muller after this humiliation, while the likes of Hatch, Rey, Scottish midfielder Arthur Hayes and Fernandez's tireless foil Sid Harmor have surely put themselves in the post-war shop window.